We create, design, qualify, manufacture and test bespoke embedded electronic systems for your machines and equipment. 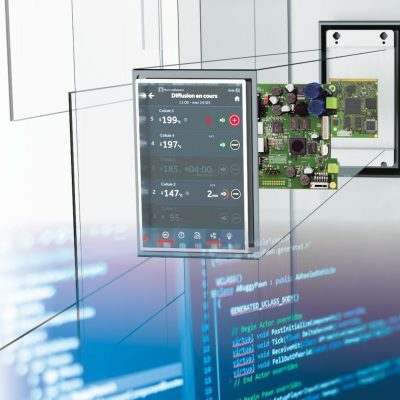 Our embedded solutions are based on one or more technologies giving you the benefit of optimised architecture for complete control of your products. Our communicating products are designed to be futureproof. The arrival of the Internet of Things (IoT) and Industry 4.0 makes these anticipated preparations essential in the creation of future services.